THRESHOLD CYCLING TEAM: That's a wrap! The end to another fantastic cyclocross season. Some might say it came too soon, others might argue it arrived just in time. 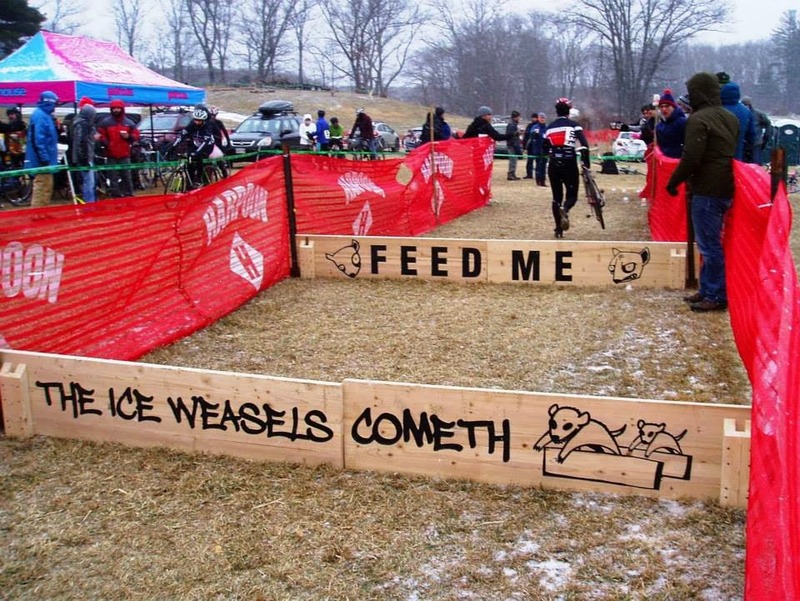 We finished up at the traditional close of the season race, "The Ice Weasels Cometh." 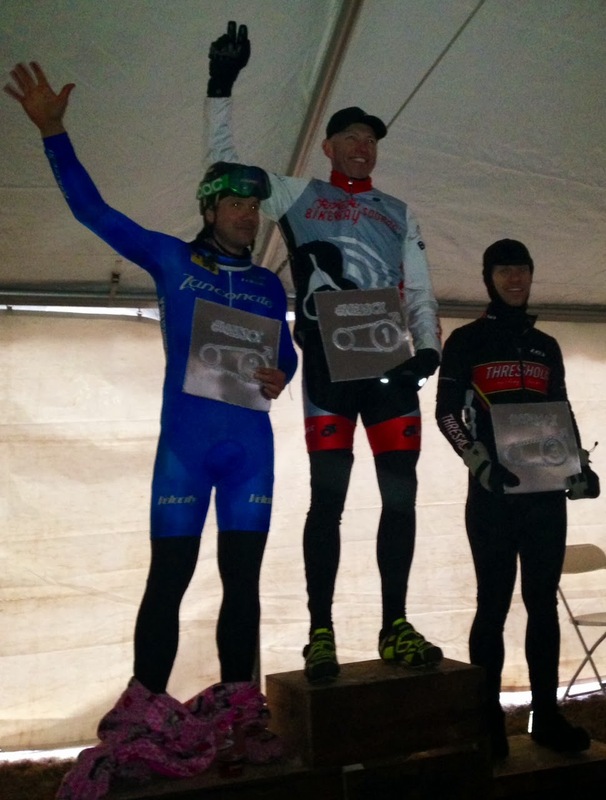 Things were definitely turned up to "11" this year with a great new venue on the North Shore, a challenging course, and light snow combined with temperatures that barely scratched 20 degrees in the late afternoon. Fun was had by all and Cory managed to lock up 3rd overall in the Zanconato singlespeed series. Also of note were the spectacular course barriers designed by Dan. Pics below. Cory 3rd overall in Zank SS series! Dan's custom barriers - looking forward to leaping these again next year!